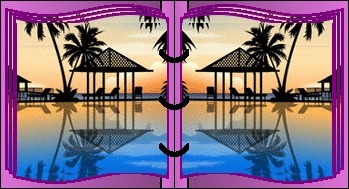 Create a book with 2 images. Enter the URL for the left sided image (this one will be flopped), the URL of the right sided image, the color for the cover/binding, the color for the page edges and click Book It! button. Images that are not equal in size will be resized to the size of the image on the left. Images should not be greater than 300 x 400.